Jacqueline Hoàng Nguyễn’s The Making of an Archive is a project that seeks to collect images of everyday life photographed by Canadian immigrants, in a direct, collective and exploratory approach. In collaboration with grunt gallery and in conjunction with the opening reception for Beginning with the Seventies: Radial Change, the Belkin is pleased to present a book launch and artist talk with Jacqueline Hoàng Nguyễn. The main catalyst for the initiation of Jacqueline Hoàng Nguyễn’s project The Making of an Archive was the photo albums of the artist’s father, an amateur photographer who took countless photographs of his daily life when he first immigrated to Canada in the 1970s. However, while doing research for previous works, the lack of representation of the immigrant’s daily life in state narratives seemed paradoxical for a country that is internationally known as the instigator of multiculturalism. Due to this visual deficiency and threat of photographic disintegration, Nguyễn initiated The Making of an Archive, a project that seeks to collect images of everyday life photographed by migrants, particularly of people of colour, in a direct, collective and exploratory approach. One of the salient themes of the work is how to make visible the rich histories of activism and solidarity that complicate the pervasive myth of the agreeable “model minority.” The publication The Making of an Archive serves as a critical document of Nguyễn’s research and the project’s relevance to larger conversations around Canadian vernacular photography by people of colour, the role of the artist-initiated archive, and how an expansion of the archival record relates to political and social change. As part of the book launch, the artist will ask, what is the process of building a collective archive and how do we come to understand our own pictures, together? Jacqueline Hoàng Nguyễn is a research-based artist and uses a broad range of media, often relying on archival material to investigate issues of historicity, collectivity, Utopian politics and multiculturalism within the framework of feminist theory. Currently based in Stockholm, she completed the Whitney’s Independent Study Program, New York, in 2011, having obtained her MFA and a post-graduate diploma in Critical Studies from the Malmö Art Academy, Sweden, in 2005, and a BFA from Concordia University, Montreal, in 2003. Nguyễn’s work has been shown internationally in institutions including SAVVY, Berlin (2017); EFA Project Space, New York (2016); Mercer Union, Toronto (2015); MTL BNL at the Musée d’Art Contemporain, Montreal (2014); Kunstverein Braunschweig, Germany (2013); Apexart, New York (2013); and the Institute of Contemporary Art, Philadelphia (2011). She has also been awarded a number of grants for her research-based practice from the Canada Council for the Arts; The Banff Centre’s Brenda and Jamie Mackie Fellowship for Visual Artists; and The Swedish Arts Grants Committee’s International Program for Visual Arts. Nguyễn was the 2017 Audain Visual Artist In Residence at Simon Fraser University in Vancouver and participated in the fourth cycle of NTU Center for Contemporary Art Singapore’s Residencies Program. In 2018, Nguyễn was nominated as one of the five finalists for the third MNBAQ Contemporary Art Award by The Musée national des beaux-arts du Québec. The Making of an Archive is edited by Jacqueline Hoàng Nguyễn, grunt gallery’s Curator Vanessa Kwan and Archives Manager Dan Pon, with contributions by Liz Park, Gabrielle Moser, Fatima Jaffer, Dan Pon and Tara Robertson, Maiko Tanaka and an introduction by Vanessa Kwan. The publication is designed by Chris Lee. The Making of an Archive book will be available in our online book store soon. Still taking submissions on an individual basis. Please book an individual digitization session by contacting Dan Pon at dan@grunt.ca. There were two main catalysts for the initiation of Jacqueline Hoàng Nguyễn’s project, The Making of an Archive. One was the photo albums of the artist’s father, an amateur photographer who took countless snapshots of his daily life when he first immigrated to Canada in the 70’s. The second was the research Nguyễn did for 1967: A People Kind of Place, her sci-fi documentary and part of her project Space Fiction & the Archives, created out of archival material the artist found of Canada’s centennial, which celebrated the implementation of the country’s point-based immigration system. Her research into various national archives for the film—from the Canadian Broadcasting Corporation, the National Film Board and the Library and Archives Canada, in Ottawa—turned up surprisingly very little under searches for “multiculturalism” and hardly any evidence of the everyday lives of immigrants in Canada who came to live under this new system. The lack of representation of the immigrant’s daily life in state narratives seems paradoxical for a country that is internationally known as the instigator of multiculturalism. Meanwhile, the printed images that her father took, much like countless albums collecting dust in homes across Canada, will soon disappear with age. Due to this visual deficiency and threat of disappearance, Nguyễn initiated The Making of an Archive, a project that seeks to collect images of everyday life photographed by Canadian immigrants, in a direct, collective and exploratory approach. By building this alternative structure of personal images, the artist aims to create a new archive that seeks to represent the fractured ideology of multiculturalism from the bottom up, where forms of civic engagement within a kinship structure or even in solidarity with other communities can be observed. 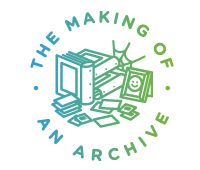 An ongoing project of indeterminate scale, The Making of an Archive consists of digitizing workshops, community outreach, digital recordings and interviews, the results of which are collected and preserved in the grunt gallery’s archives. Combining the support infrastructure of the art gallery with the artists’ collecting strategies, the project is in many ways a study of collaborative process and intention. The Making of an Archive questions existing frameworks for archival history-making, and chooses instead a trajectory of collective exploration. Drawing again from the artists’ reference to ‘space fiction’, speculation here leads to a kind of cultural star-gazing: seeing fragments of this nascent archive reminds us of vast possibilities—reflections of lives already lived, and new frameworks for a future we have yet to see. 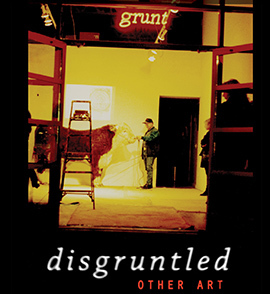 A publication to accompany this ongoing project will be produced by grunt gallery in Spring 2018. Jacqueline Hoàng Nguyễn (Stockholm) is an artist that uses a broad range of medium while mostly relying on archival material to investigate issues of historicity, collectivity, Utopian politics, and multiculturalism within the framework of feminist theory. In 2015, she was the first artist-in-residence at the Museum of Ethnography in Stockholm. The residency was part of SWICH – Sharing a World of Inclusion, Creativity and Heritage – a collaborative project involving ten European museums of Ethnography and World Cultures. Together with curator Rado Ištok, they are currently editing Crating the World: Displaced Myths, Desires and Meanings, a parallel compendium to Nguyễn’s exhibition Black Atlas presented at the Museum of Ethnography, that is to be published in Spring 2017.